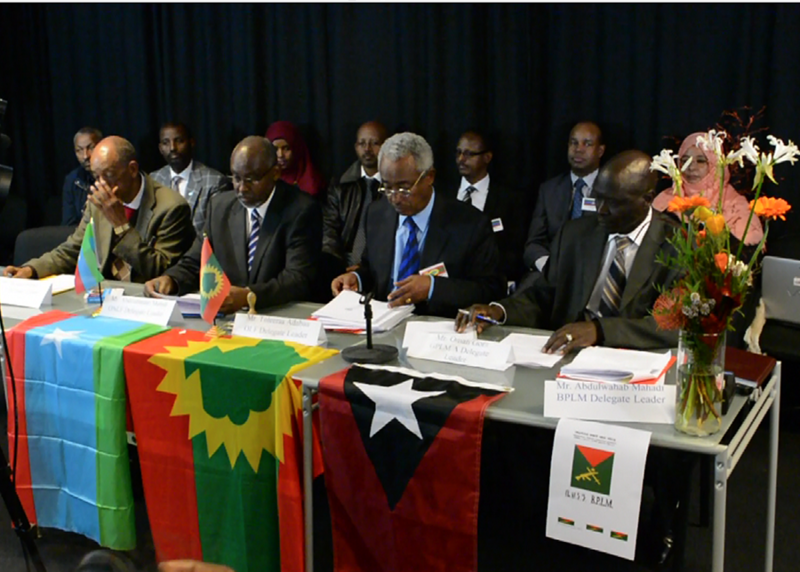 Delegates of Benishangul People’s Liberation Movement (BPLM), Gambella People’s Liberation Movement (GPLM), Ogaden National Liberation Front (ONLF), Oromo Liberation Front (OLF) and Sidama National Liberation Front (SNLF) met in Oslo, Norway from 22 October to 23 October 2015 to lay the foundation of political alliance between the peoples in Ethiopia and have formed the Peoples Alliance for Freedom and Democracy (PAFD). The head of delegates signed the founding agreement between the five organisations yesterday afternoon in Oslo, Norway. Members from all the nations represented attended the signing ceremony. The five organisations agreed to form form an alliance which will coordinate their all spheres of the activities in order to create a new political order in Ethiopia that will guarantee the genuine exercise of the right to self-determination to all nations and peoples in Ethiopia. The five organisations represent more than 50% of the population in Ethiopia and are force to reckon with in the politics of the Horn of Africa. The Alliance issued a declaration and a press release clearly stating their objective and principles.